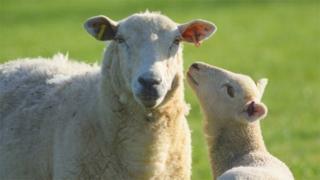 More than 200 sheep, worth in excess of £20,000, have been stolen from a farm in Dorset. The animals - including Suffolk and cross breeds - were taken from fields along the A37 near Dorchester between 22 March and 8 April. A total of 211 animals, each valued at £95, have been taken. Police said they were tagged with the numbers 230336 and 341825. Anyone with information is urged to contact Dorset Police. PC Matthew Brennan said: "This theft, as with many crimes in our rural community, has had a big impact on the victim."